The Pulsafeeder Eclipse Gear Pump #tencarvapumpoftheday most commonly used for medium to highly corrosive liquids used in chemical processing, petrochemical, and water treatment. 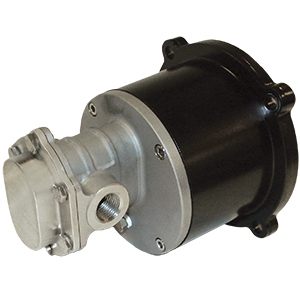 Pump is magnetically driven to eliminate mechanical seal wear and leaks associated with rotating seals. Available in both metallic and non-metallic versions http://www.pulsa.com/products/pumps/eclipse-metallic / #coolfact able to handle the entire pH scale.